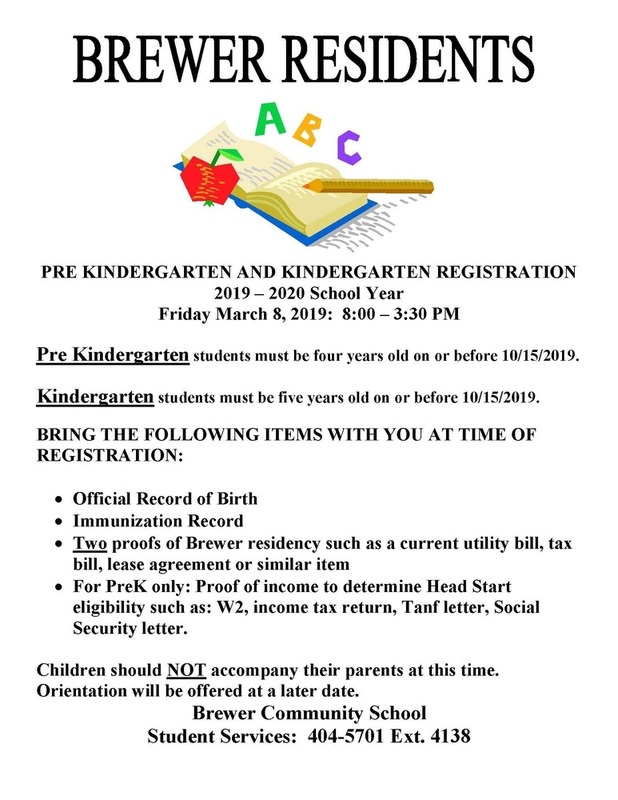 Pre Kindergarten students must be four years old on or before 10/15/2019. Kindergarten students must be five years old on or before 10/15/2019. Children should NOT accompany their parents at this time. Orientation will be offered at a later date. Please see the above flyer for more information. If you have any questions please contact Student Services at (207) 404-5701 ext. 4138.